← Movin’ on up… to a not-so car-free life. We didn’t really trade our bikes for an Escalade….we’re having too much fun to do something crazy like that. The four-year-old and I had fun fishing in the creek a few weeks ago. We didn’t catch anything but beer cans, but we had a good time anyway. 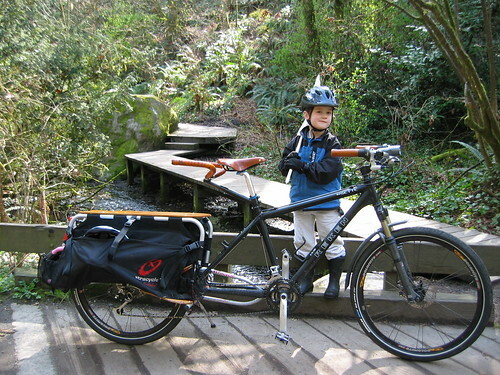 This entry was posted in extravehicular activities, kids, seattle, xtracycle and tagged bikes, Cowan Park, fishing, seattle, xtracycle. Bookmark the permalink.